Descended from the Hawaiian royal line, Jonathan Napela became one of the first—and most influential—converts to the Church in Hawaii. A man of intelligence, social status, and wealth, he used his considerable position to further the gospel in his native land. He developed a lifelong bond of brotherhood with Elder George Q. Cannon, helping to translate the Book of Mormon into Hawaiian and establish a gathering place for the Hawaiian saints in Laie, Oahu. That much alone is enough to convey a compelling story. There are numerous less pithy books on the history of the LDS church; but, wait, there's more. But when his beloved wife, Kitty, was stricken with leprosy, Jonathan made the defining decision of his life. He would leave his life of privilege to become her caretaker and spend the rest of his life on Moloka'i, the island of lepers. To those who suffered similar heartbreak and banishment, Jonathan’s self-sacrifice became their lifeline. Based on a true story, this is an extraordinary novel of a man who chose love in the face of death. As interesting as this story of missionary work in the Sandwich islands (aka the Hawaiian islands) is (and I would wager it's one of the more interesting tales, given the local and the exhaustive reseach done by Gale Sears) it's the second half of this book that truly elevates it. The book starts with a prologue that takes place in 1843 on the island of Maui. The section depicts the royal wedding of Jonathan Napela and Catherine Keliikuaaina Richardson. The historical backstory of life in this culture is interesting but the concentrated detail bogged things down a bit for my taste. I would have liked to have seen this prologue interspersed in small chunks between latter chapters in the book, or maybe even as chapter headings. This is a minor complaint. Keeping reading; it’s worth it. Chapter one begins in California in 1850. Elder George Q. Cannon looked forward to his mission call, like most young elders, anticipating where the Lord might call him to serve. He hoped that perhaps it would be to his homeland of England, or a number of other exotic locales. That’s right. He was called to mine gold to help support the young Church. Despite his devotion, his efforts yield little precious metal--little, until, his assignment changed. When he is reassigned, to the Hawaiian Islands, the ground yields up enough gold to pay for their passage. It’s during his time on the islands, while struggling to learn the local language and customs, that he meets Jonathan Napela. Along with his royal lineage, Jonathan has become a district court judge. Jonathan eventually gets baptized and he and George go about establishing the Church as well as translating the Book of Mormon. As I said in the introduction, there are enough stories of faith, charity, and determination just to this point in the book to leave you satisfied. 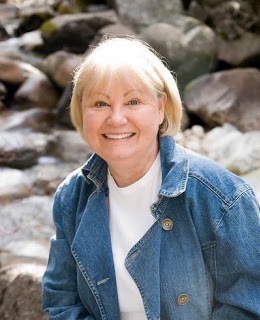 Gale’s exhaustive research shows through again as she describes the island of Moloka'i and the day to day lives of those living with leprosy. Jonathan’s wife, Kitty, contracts leprosy and instead of sending his wife to the leper colony to live out his days, he goes with her. With the help of a Catholic priest, Father Damien, the two care for the colony. Along with their physical care, Jonathan presides over the Saints of the colony as well, until he too passes away of leprosy. 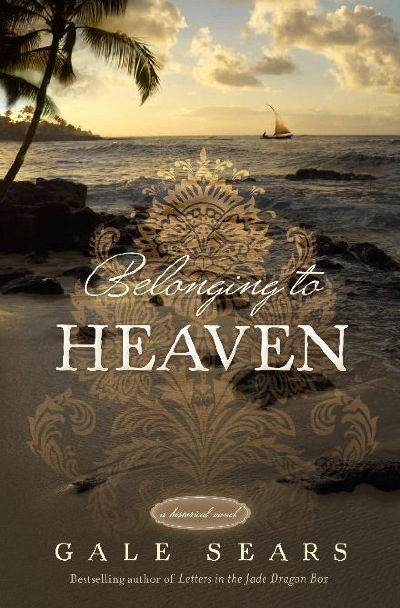 Belonging to Heaven is not a quick read, but it’s satisfying and deeply moving, especially for those of the LDS faith.